Back in print after over 15 years! 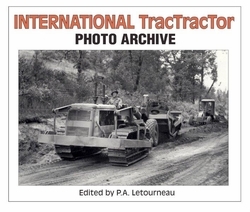 From the 10-20 TracTracTors of 1929 to the mighty TD series of the 1940s, I-H challenged Cat and Cletrac for leadership in the crawler tractor marketplace. Here is a full range of these crawlers in photos from the McCormick-International Harvester Company Collection of the State Historical Society of Wisconsin. 122 pages, 117 8x10 black and white photographs.